Senior Class Prank with Bike Share Bikes! It’s that time of year again. High school seniors pull some crazy pranks – like letting chickens go wild in school…but this one is different. These kids send a message (intentionally or not) about all of the asphalt dedicated to parking cars that could be used for bikes. 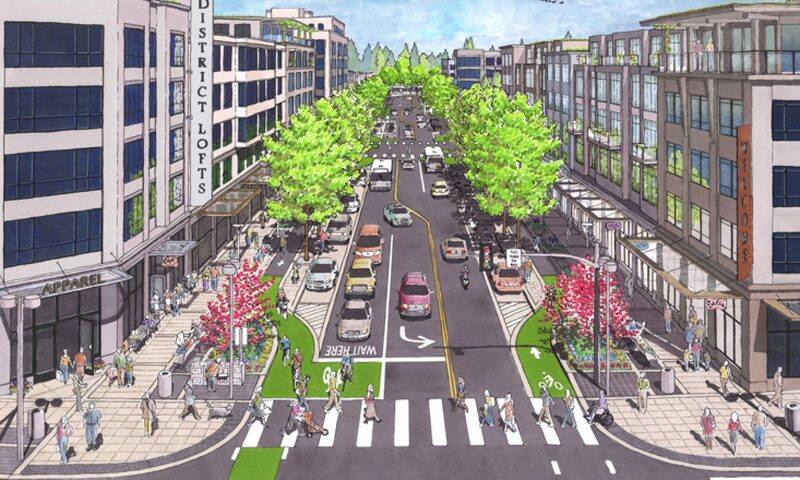 “Rockford, you see, is one of a few dozen American cities with a Limebike dockless bike-share program, which the town introduced late last month. Limebike is one of those bike-share programs that lets you unlock each bike with an app on your phone and leave it anywhere once you’re done riding it. Dockless bike-share programs have inspired more than a little panic about the prospect of abandoned bicycles strewn willy-nilly across cities, but the East High teens proved it’s possible to store them very neatly — and simultaneously made a pretty powerful case for the space efficiency of biking vs. driving. 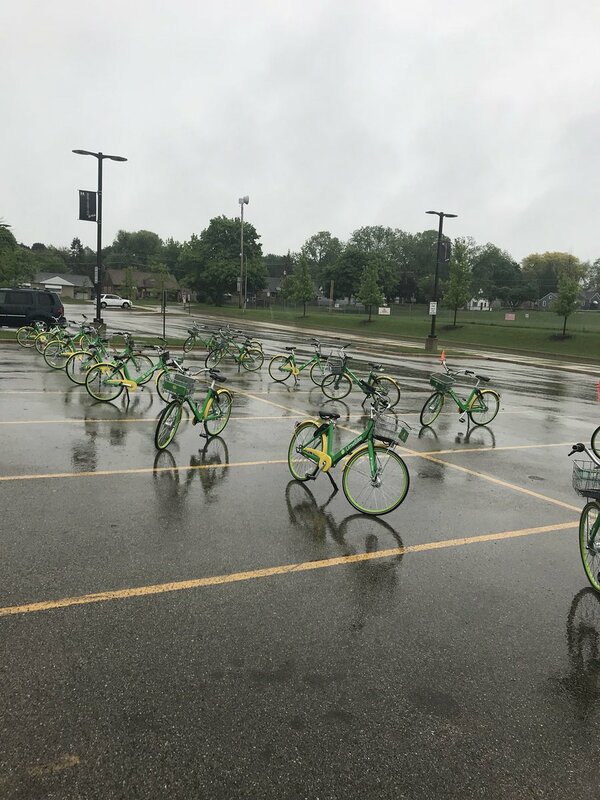 LimeBikes take up parking spaces in the parking lot behind East High School the morning of Monday, May 21, 2018, also known as the Class of 2018′s senior prank day.